Curve4's new Verify Tool calculates G7 conformance according to the most up-to-date IDEAlliance specifications and returns the results in a clear visual format. 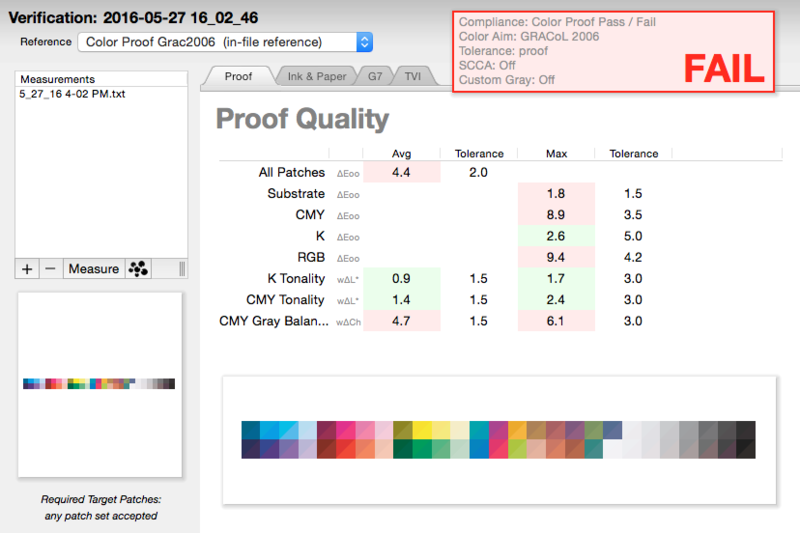 Whether you're looking for G7 Grayscale, G7 Targeted, or G7 ColorSpace compliance, or simply wanting to verify a Color Proof, the Verify Tool summarizes your results with a clear PASS / FAIL badge. 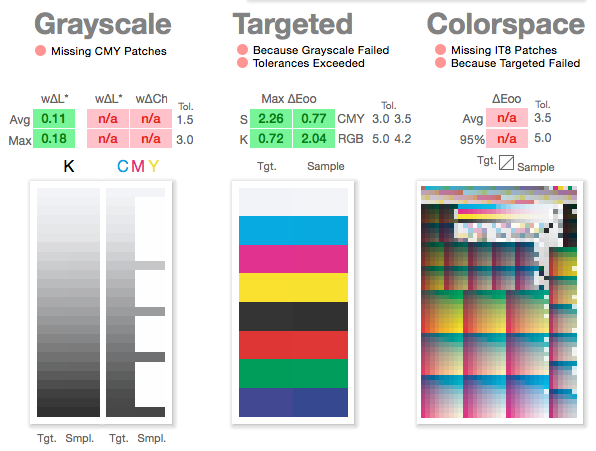 Each color patch used is graphically displayed in comparison to the reference color. Any patches missing from your target will clearly show up in the display. 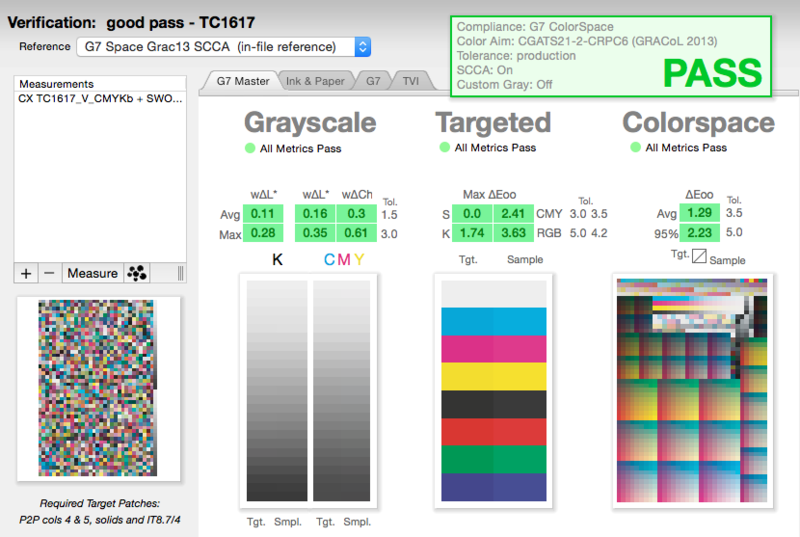 And if you want SCCA-based (Substrate-Corrected Colorimetric Aims) calculations, Verify can easily handle it, along with subtle G7 differences such as Custom Gray balance. 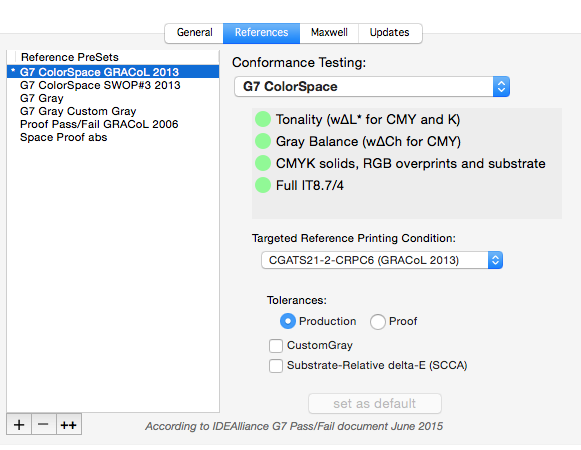 In short, the Verify Tool gives you confidence in your G7 conformance while remaining easy and flexible to use. For when you simply want to Verify a proof. Any target is supported.